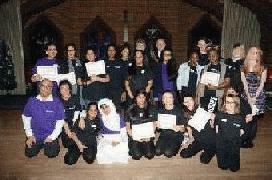 Our Ambassadors come from various backgrounds and they meet weekly at the Emmanuel Church, Vicarage St. Deane, BL3 5LE. 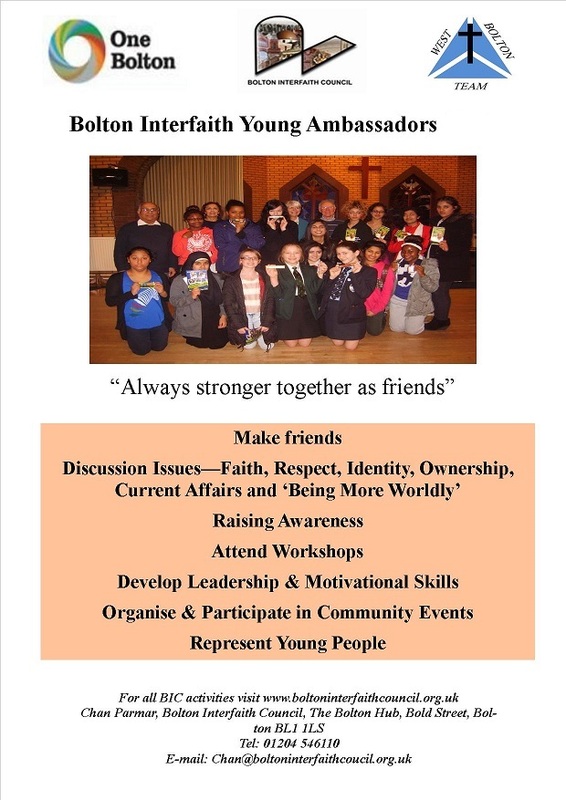 The Bolton Interfaith Council recognises the value of working and engaging with young people. Young people can make a tremendous contribution towards a peaceful and harmonious society. We also have the BIYA project which has now been in existence since 2007, supported by volunteers & lead by the Strategic Officer - our group consists of all the girls from various faiths at the moment. The group meets weekly at Emmanuel Church. The project aims to give members an opportunity to work with all faiths, get involved in wider community events through dance, drama, public speaking, organising charity events, supporting community groups & much more. Congratulation to Miss Jaya Patel from our young Ambassadors' group - who is the one of the two elected youth MP's for Bolton. 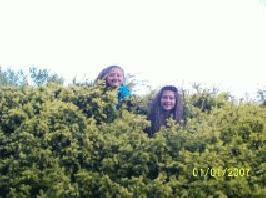 Photographs from Community Events and Activities. During 2013/14 our Young Ambassadors took many steps forward with number of discussions, presentations, recruited new members - hence the group is now made up of almost 21 members. together to get through the tasks. 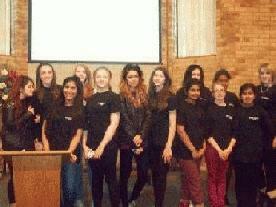 All members were fantastic with their input and made us all very proud. The year ended on a high with the celebrations on 19th December 2013 for the 6th Anniversary since the group was set up. The Mayor of Bolton, Mayoress and many guests from the community and Voluntary sector attended a memorable evening for the group. Also we are very grateful to Management of Emmanuel Church, Vicarage St, who have allowed the Young Ambassadors to hold our meetings every week. Looking ahead, the group have a busy year ahead with following activities already planned:- Take a Bolton Town Hall Building tour with the Mayor, a visit to Bolton News, perform and participate in the fair trade fortnight, spirit of Bolton, discussion and debate - Topics. charity event for children suffering from cancer, public speaking - and much more. 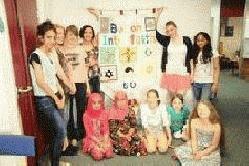 I am proud to say, our members are a credit to the interfaith work in the town and the ability, creative thinking of these girls from all backgrounds is a joy for everyone. 1st March Ambassadors performing and supporting Fair Trade celebrations event.During the year, the group will be involved in Easter Celebrations, Spirit of Bolton,Charity event for Children suffering from Cancer and many other community events. 22nd May 'Africa Day' supported by Bolton Interfaith Council. Recently the Ambassadors had discussions and speakers on: 1. Food Banks - Implications of Poverty 2. Arranged Marriages. 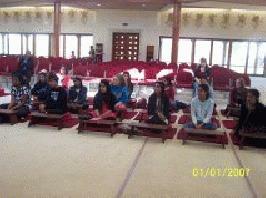 Inspirational talk from Fauzia from BCOM of her work as a Textile Engineer & Manager in Pakistan - very inspiring talk. 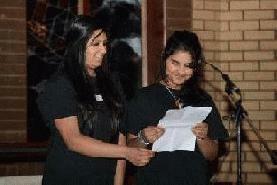 Three Young Ambassadors to speak at the Civic Ceremony-Welcoming the New Mayor of Bolton at Parish Church on 8th June. 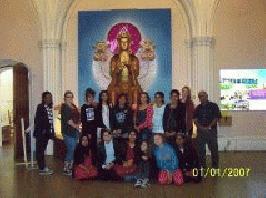 15th June, the group will be attending "Young People's Conference @ Huddersfield. The event organised by Northern Friends Peace Board. Young people from Kirklees, Blackburn and Bolton will be involved in discussions about working together as well as other community issues. 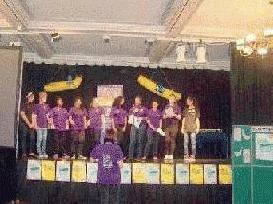 5th July, the group wholly supported "Spirit of Bolton" activities. They also raised Â£485 for the project through raffle prizes. 12th July, Members supported the Gilnow Primary School community day. 2nd August, many members supported the 'first Interfaith Cricket Match' and provided activities eg henna and face painting, fruit kebabs etc. 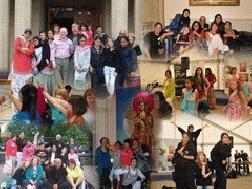 17th August, participating in "Diversity Festival" in Queens Park led by Octagon Theatre. 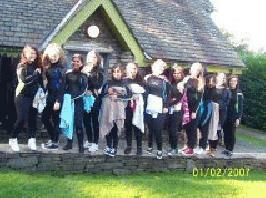 26th-28th August, Ambassadors on residential at Windermere. 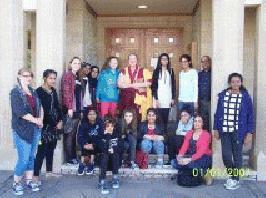 An excellent residential which included visits to the Manjusrai Buddhist Temple, Swarthmoor Hall (Quakers Founding Hall), plus numerous water activities such as Canoeing and Windsurfing. A really good time and a wonderful opportunity to bond and learn. 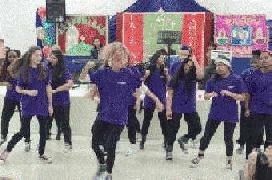 30th August, A group of Ambassadors perform at BISC's 50th Anniversary celebrations. 11th September, Young lady Avril Wyke coming to talk to the group about her recent community work with the dis-advantaged in the Philippines and South Africa. 6th November, Ambassadors to meet local Councillors. 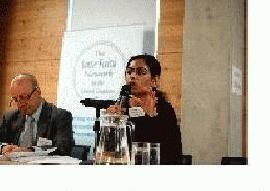 13th November, Ambassadors @ Interfaith Youth Forum in London. 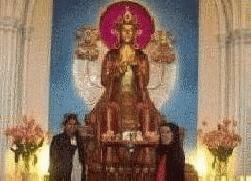 16-22 November, Supporting interfaith activities during national interfaith week. 4th December, Ambassadors presentation @ Faith Leaders Forum. 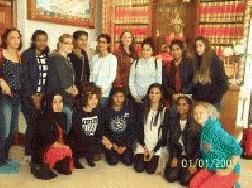 10th December, Ambassadors and volunteers @ teenage mums xmas party. W/C 15th December, 'Shoebox' gifts for young children from disadvantaged families. Led by Interfaith Ambassadors. 17th December, singing at Bolton Hospice, 'Light Up A Life' event for patients and families. 18th December, Christmas party for Ambassadors and families @ Emmanuel Hall. 05/02/15 - Elective Members responsible for BIYA groups are Honorary Chair=Aamma Alam, Chair=Goshmala Shakeel, Vice Chair=Zunairah Malik, 1st Secretary=Sanaa Makaan, 2nd Secretary=Dua Rehman, Researcher=Iqra Shafia and Researcher=Jaya Patel. 12/02/15 - "Discussion on Apartheid and Poverty own story by Anna Kinley "
26/02/15 - "Discussion Holocaust and Genocide - past and present"
05+12/03/15 - "Discussion on "Role of United Nations - and Terrorism"
19/04/15 - Participating in a meeting-discussion-workshop with three other regional youth groups in Huddersfield 'Young People, Peace and Community' event. 25/06/15 - Discussion about "What does your dress sense say about you?" interesting topic that created wide ranging discussion - re free spirits - others not being judgemental - we all have choices to be who we are. 02/07/15 - Discussion Tunisian holiday murders and 10th anniversary of London bombing - some very interesting views. Writing a poem for victims. 06/09/15 - A day out @ Blackpool Pleasure Beach. Bonding and fun session. 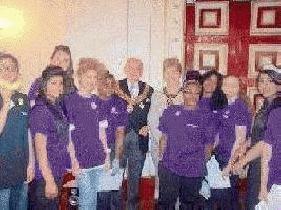 01/10/15 - Mayor and Mayoress to visit Young Ambassadors group. Talk from Mayor about her role and responsibilities as Councillor & experiences in public life - opportunity to ask questions and learn about this important civic role in the town. 14/01/16 - First metting, Registration & Reflection on year last year work. 28/01/16 - Guest Visitiors Georgina Ryding - Head Teacher, St Mathews Primary School. 04/02/16 - Visting Swaminarayan Mandir. 11/02/16 - Finalise election issues & highlight roles & responsibility. 18/02/16 - Half term break. 25/02/16 - Cooking with Jameelaben. 17/03/16 - Disscuss about Forthcoming events & Participation. 26/03/16 - Supporting unique event of "Passion of Bolton" event in the Town Centre. 31/03/16 - Attend Peace Prayers for Lahore Victims. 05/05/16 - Discuss about influence of local elections and also issues around elections for Mayor of London. 12/05/16 - Discuss challenges facing young people in diverse communities in UK. 19/05/16 - Discuss & talk about forthcoming events. 25/05/16 - Participations in Octagon theatre young people's event. 02/06/16 and 09/06/16 Preparing a special tribute for Queen's Birthday celebrations. 12/06/16 - Participating & supporting 90th Birthday celebrations for our, "Servant Queen" held by our colleagues from the St Paul Emmanuel Church. 19/06/16 - Singing National Anthem - International Yoga Day at Memorial Lane. 14/07/16 - Discussion with BLG club discussing "value of diversity" with young students from BLG club and NCS project. 06/08/16 - Supporting "Changing face of our communities" event at ST Andrews Church Tonge Moor. 12/08/16 - Attending International Youth event at Castel Hill Centre led by Bolton Council. Very soon we would be restructuring BIYA group for better outcome and accountability. Members would be participating and supporting other interfaith events IE interfaith cricket, Activities during National Interfaith and other events to follow. 16/07/16 - supporting Anna's fund raising event for "Amyloidosis" illness. 20/7/16 - supporting & speaking at community " Peace Vigil" for victims of Nice ( Southern France). 09/08/16 - Our youth MP Jaya Patel supporting British armed forces at Krishna Mandir. 11/08/16 - Reorganising of the group and new application received. 11/08/16 - We also discussed "Why should you learn to challenge yourself". 25/08/16 - Last meeting of present group with bring and share food. Best wishes to members who are moving on. 01/09/16 - First meeting of newly organised group. 30/09/16 - Members speak at beloved Anna Kinley's Funeral. 01/10/16 - Supporting and Participating in Interfaith Cricket & Rounders' competition. 17/10/16 - IF Network with Dave Baguley from Urban Outreach. 20/11/16 - If Week Supporting and participating Mahatma Gandhi event at Veda Mandir. 08/12/16 - Meal outing in Town Centre. 14/12/16 - Perform multi faith prayers at Bolton Hospice - light up life event - remembering loved one who passed away. 22/12/16 - Christmas Party - with BIC Volunteers and young ambassadors Emmanuel. 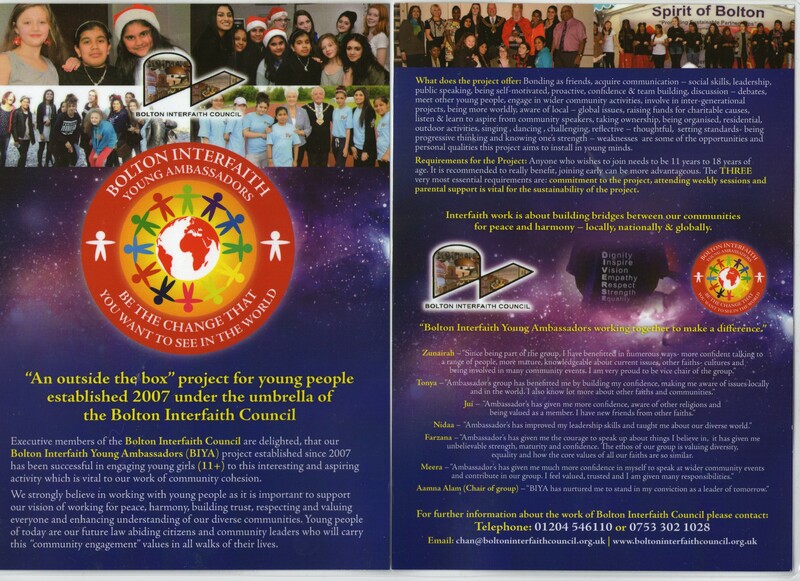 An "OUTSIDE-THE-BOX" project for young people established 2007 under the umbrella of the Bolton Interfaith Council"